It’s one game, a game in which a slightly above average team lost to a slightly above average team. Regardless of necessity or circumstance, these things happen. Teams lose games they badly want or need, without such a loss saying much about them. In the game preview, it was made quite clear that Utah’s sense of desperation coupled with the Los Angeles Lakers (40-37) falling at the hands of the Los Angeles Clippers (51-26) gave the Jazz every bit of incentive necessary to play with a tremendous amount of fervor. Heck, Derrick Favors looked like the second coming of David Robinson last night by virtue of his athleticism and solid defensive work. The Warriors still had a shot at home, but the ball rolled Utah’s way. Nonetheless, the last six days were still somewhat of a success despite the home loss. 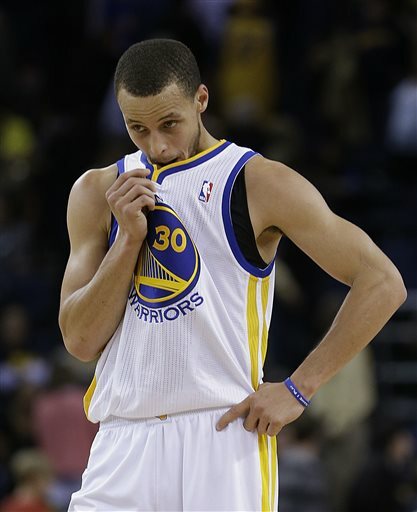 Golden State won two-of-three contests. On April 3, they beat the New Orleans Hornets (27-50) by double digits and then two nights later pulled out tough game in the desert against the Phoenix Suns (23-54). On April 11, (Thursday), the Warriors will be playing in primetime against the Oklahoma City Thunder (56-21) in a game that will be nationally televised. If the Warriors pull a no show in that one, the TNT Inside the NBA crew will be quick to remind the audience that Golden State’s season is a fun story that will shortly end. On the other hand, a great showing at home against the Thunder on a big stage certainly gives the team some great exposure as well as an extremely important ingredient heading into the playoffs: confidence. 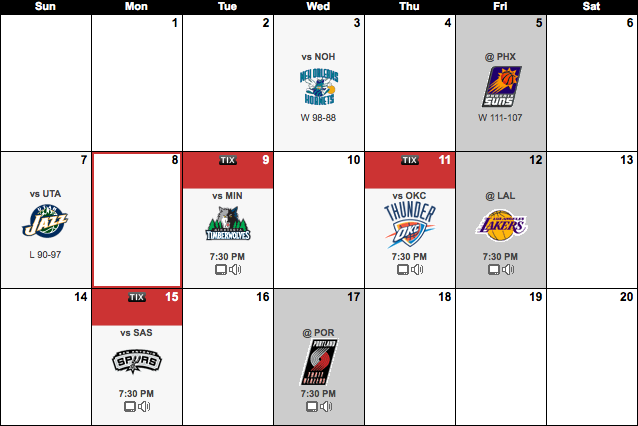 The NBA schedule is unforgiving though. After a tilt with Russell Westbrook and Kevin Durant, the next night will set the stage for the final encounter with the Lakers. With Kobe Bryant and company playing for their postseason lives at Staples Center, the Warriors might face an effort superior to the one they saw last night against the Jazz. The Lake Show will be playing desperate basketball at home. It’s worth noting the Warriors have one win against the Purple and Gold this season and the April 12 head-to-head battle might actually be in favor of the road team for once. With Bryant playing an exorbitant amount of minutes of late (averaging 46.3 minutes in last four contests), he might be spent by the time the fourth quarter hits and struggle with his jumper. Since seeing his minutes take a huge spike against the Sacramento Kings on March 30, Kobe is only converting 37.2 percent of his field attempts. With that said, the Hollinger Playoff Odds still give the Warriors 99.4 percent odds of making the postseason, but now project them to finish the regular season as the seventh overall seed. The Houston Rockets have a more than fair shot of overtaking the sixth seed. The remaining games this week should give us a great indication of what to expect.